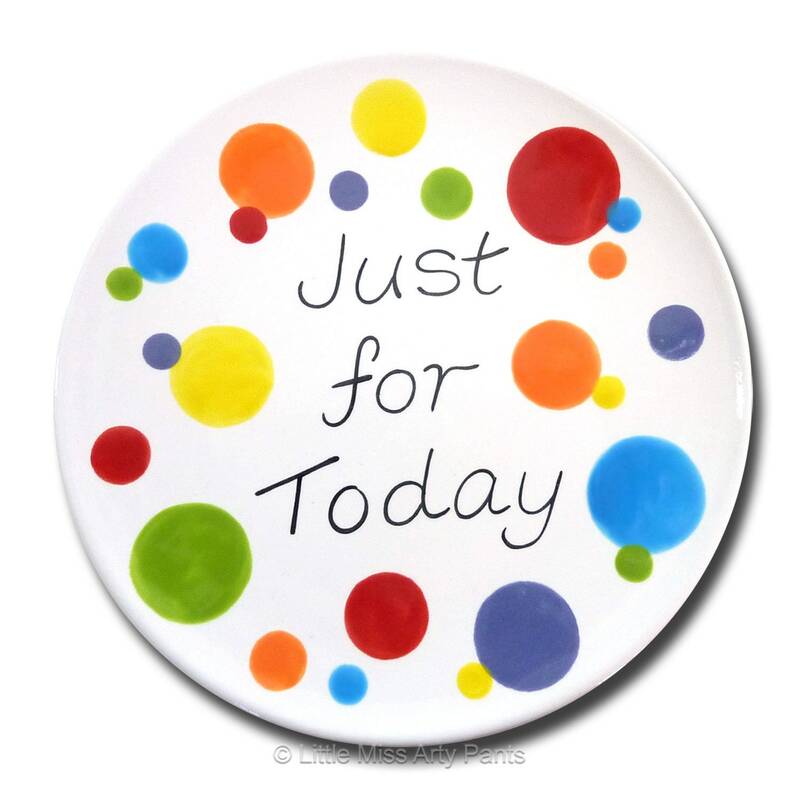 This 8" plate is hand painted with the slogan "Just For Today". Perfect to display or use for food. 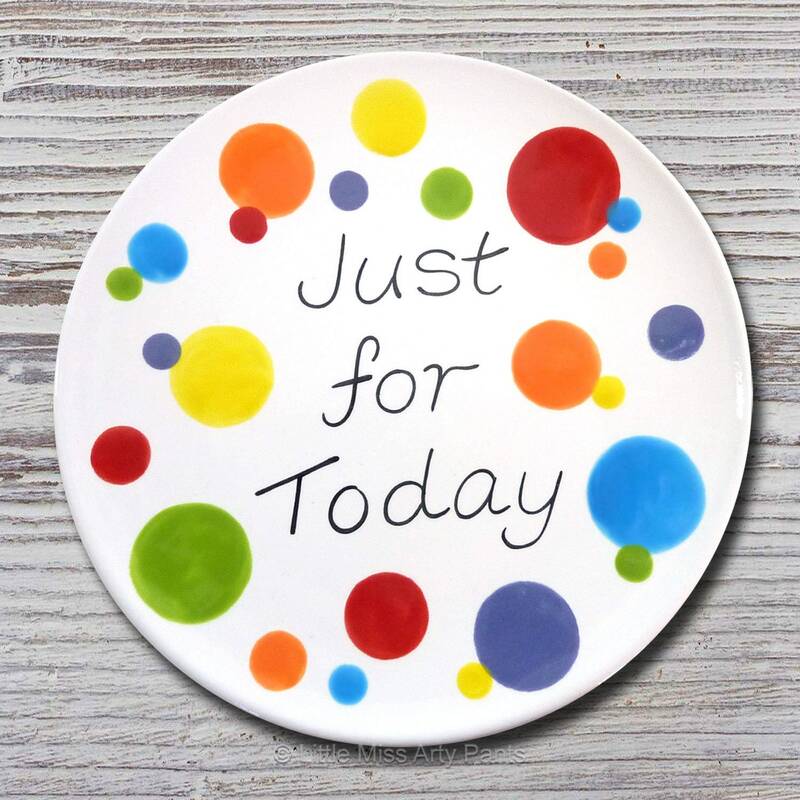 The plate is made with Love & Gratitude! Makes a great gift! This plate will ship in 1-2 business days. ALL MY PLATES ARE HAND PAINTED, GLAZED AND KILN FIRED. THEY ARE FOOD SAFE! © Little Miss Arty Pants - All right reserved.